Exceptional service is always top of mind when working with Mitchell Dansey. A licensed sales agent and accredited auctioneer, Mitchell's unsurpassed market knowledge and commitment to each individual client fits perfectly with the dynamic nature of the property industry. Mitchell aims to establish a relationship with his clients that is so valuable, that it will enable him to accompany them throughout their entire property journey, through multiple sales and purchases offering trusted advice. His ability to tailor targeted sales strategies to suit a broad range of property types instils confidence in his clients, followed by strong results that exceed their expectations. 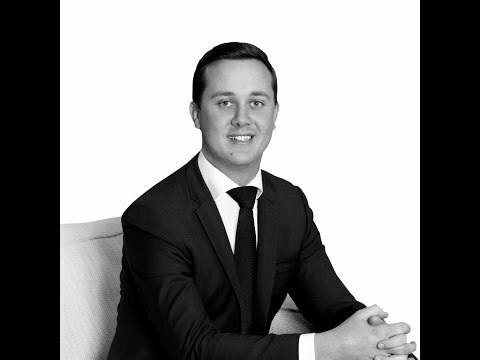 Starting his real estate career in Orange in 2008, Mitchell's experience in both rural and metropolitan markets expands his breadth of experience even further, and enables him to work successfully with anyone he meets in the field. Mitchell is always looking for new ways to market property and target potential buyers, his unique combination of youth and experience means he’s always willing to shift his approach when required to take advantage of any opportunities that may appear during the sales process. A standout communicator, firm while respectful negotiator and above all the consummate professional, contact Mitchell Dansey when you’re next considering buying or selling. We found Mitch to be extremely pro active and helpful. He contacted us regularly to update us and was knowledgeable, informed and realistic about the current market. He also appeared to interact well with potential buyers and we were very satisfied with the way the whole campaign was run. Mitch Dansey guided us through an unknown, and potentially stressful, process with confidence. He took the time to ensure we had a thorough understanding of every part of the process and gave us the confidence we needed. I feel the best way to rate Mitch would be to offer my phone number and invite people to call me.I loved having Mitch as my agent. He was helpful insightful and tenacious. I would recommend him highly and his team were lovely too.Please call if you want specifics. Mitch was very supportive through the whole sale process and made sure that we had everything we needed. His professionalism at every stage and the way that our house was presented by Mitch led to a successful sale. We thoroughly recommend and endorse Mitch as an agent that will look after you.